The Beachbody Health Bet pool has grown to $3 Million! WHAT IT IS: My company is rewarding you for going after your health and fitness goals in the New Year! If you purchase a program & Shakeology, you will get access to my challenge group that will be run through an app on your cell phone. We kick off on January 9th. You’ll be logging at least five Shakeology’s a week with pictures and at least 3 workouts a week– you can get a cut of the $3 million pot. If you’re already one of my customers, you can totally be apart of this too! Let’s connect! Be an active member in my challenge group as of January 9th. YOU MUST meet all of the requirements for each week. Contact me & we will find the program that best fits for YOU. We will talk about your goals, what you’ve tried before, your eating habits, and much more. Based on that, we will pick a program that will get YOU the best results. Pair that with Shakeology & you’ve got yourself a plan and one on one support. Beachbody just launched an Annual All Access Beachbody On Demand package bundled with a month’s supply of Shakeology that will give you access to ALL Beachbody programs PLUS any new programs that come out in the new year. It’s available at a promotional price for a limited time so LET’S TALK! Once the Health Bet has come to a close, the prize pool will be split equally among all qualified participants..All participants will be notified of their preliminary qualification status on or around February 8, 2017 via the e-mail address associated with their Team Beachbody account. If you’re ready, let’s do this thing!! Let’s get you the results – I want you to feel AMAZING! I’ve made a lot of dinners. This one, I do believe, goes down as one of my favorites. Kid-approved, hubby-approved….SO YUM and SO HEALTHY. I served this up with a side of homemade sweet potato fries! >Slice into medallions, place salad greens on plates, top with pork, sprinkle with remaining chopped walnuts, and drizzle with vinaigrette. I have to admit. I was nervous to try this one! Every time I saw an avocado egg bake picture pop up on Pinterest it looked so good, I but figured there was no way I could pull it off. I think the key to this is to make sure you take a little bit of the avocado out so your eggs fit! Otherwise, it’s super simple AND delicious. – Slice the avocado in half, and take out the pit. Scoop out about two tablespoons of flesh from the center of the avocado, just enough so the egg will fit snugly in the center. – Place the avocados in a small baking dish. 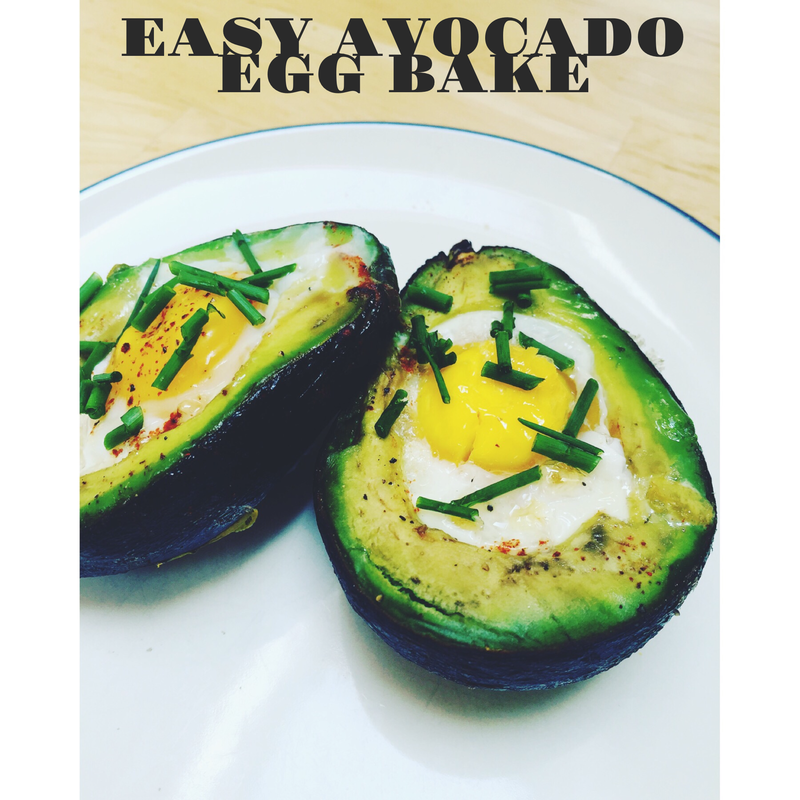 – Crack an egg into each avocado half. – Place in the oven and bake for 15 to 20 minutes. Cooking time will depend on the size of your eggs and avocados. Just make sure the egg whites have enough time to set. – Remove from oven, then season with pepper, chives, and cayenne. This pork carnitas recipe will make you the hero of your next Taco Tuesday! Mix up the seasoning ingredients that are listed in the image, rub it onto a 2 pound pork tenderloin and place in slow cooker. Add the juice of 1 orange, 1 lime and 2 cloves of minced garlic. Cook on low for 7-9 hours. Boom. I like to serve mine on warmed corn tortillas with some sliced avocado and pico de gallo! This weekend, I was inspired by good friend and fellow health coach at Simply Living Healthy Today to make a quiche, but I wanted to add a crust. (Hello, carb queen!) Thus, this plantain-crusted quiche was born! And it was DELICIOUS. 2. Peel plantain and slice into several pieces lengthwise (try for 5). 3. Heat up a pan over medium-high heat and add coconut oil (save a little for greasing the pie pan.) Add plantains to pan and cook them for about 4 minutes each side. 4. Add about 2 tbsp of water to the pan, cover, and reduce the heat to low. Let cook for an additional 5 minutes, until soft. 5. Grease a 9″ round pie pan with coconut oil and arrange the plantain strips along the bottom of the pan to form a crust. 6. In a medium-sized mixing bowl, whisk the eggs together. Add mushrooms, spinach and cheese. 7. Pour egg mixture over plantains in the pan. Top with pinch of salt and pepper and place in the oven for 30 minutes, or until the top of the quiche is cooked and no longer runny. 8. Remove from oven and let cool. Cut into 4 pieces and enjoy! The holidays are so full of love, family, laughs, and smiles. With all of that also comes with an ocean full of emotions! Yoga has always helped me channel my emotions in a positive way. I figured with Thanksgiving this week it would be the perfect time to host a yoga challenge for anyone who wanted to spend a few minutes for themselves each day to breathe and practice some beginner heart opening poses. This is the story of a little black dress. That was worn once and then never again. Do you have one of these too? That dress that made you feel like Audrey Hepburn. Does it sit in the back of your closet now like this one does? Well, I have a plan to rock this dress again on New Year’s Eve. And if you’re up for the challenge, I’d love for you to join me. Pull out that dress from the closet that you can’t bring yourself to get rid of. The one that you keep saying you’ll maybe fit into again someday. And let that be your motivation to start with me on November 30th. Fill out this application to reserve your spot in the group!